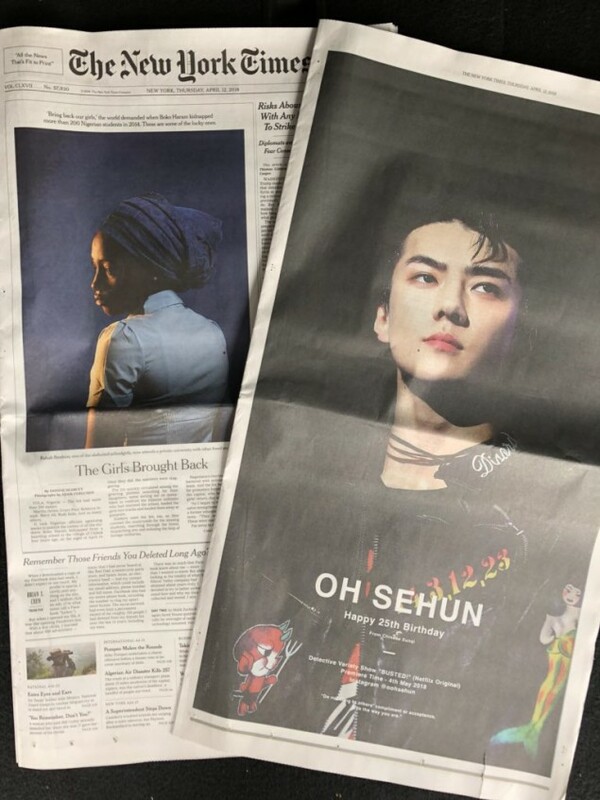 Check out Sehun's full page ad in The New York Times + Times Square birthday billboards! 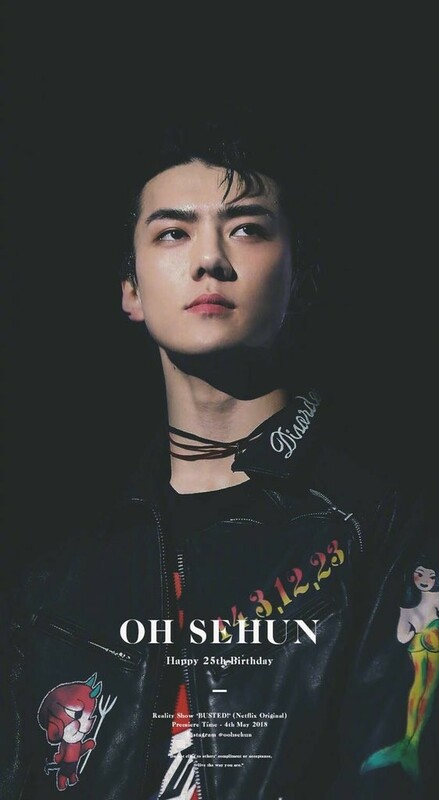 EXO's Sehun has taken over New York in various forms on his birthday. 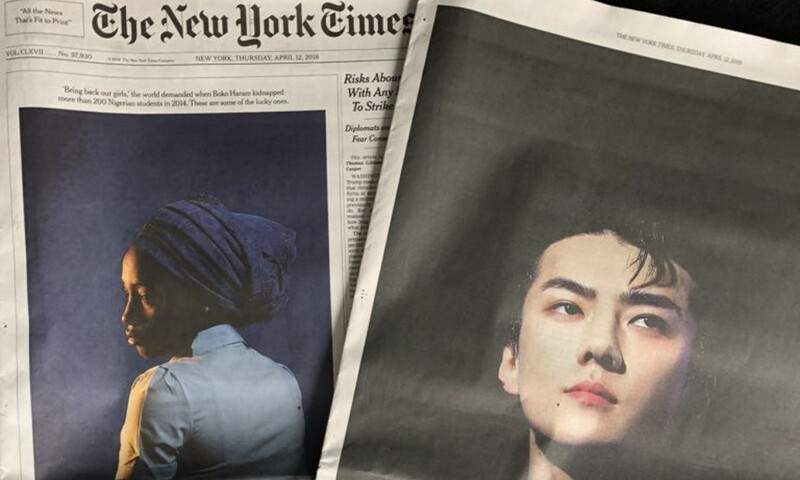 It's been revealed that fans dedicated over $200,000 to feature Sehun on a page in The New York Times for his 25th birthday. The full-page, colored ad appeared in the April 12 issue as announced. 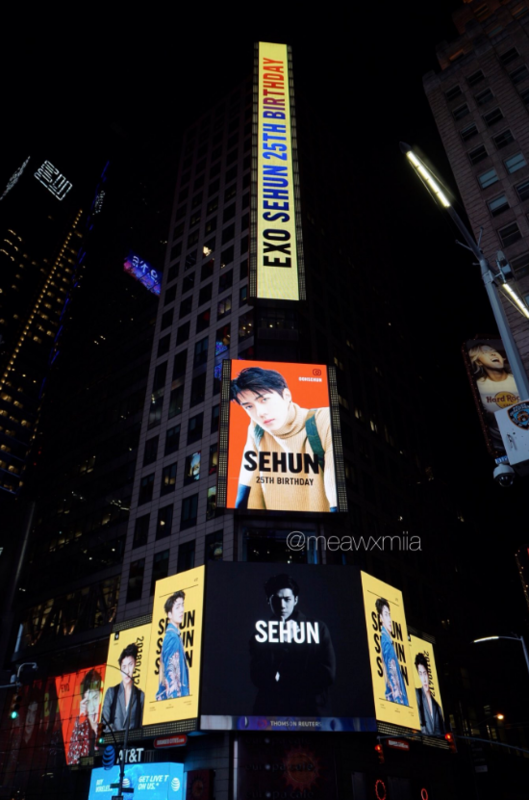 Sehun also took over Times Square in NYC with flashy billboards. Sehun's fandom once again amazes us with their dedication. Once again, Happy Birthday Sehun!